The importance of collaborations in helping stakeholders achieve their objectives has been underscored in several activities in which the GlobalPSC participated in late October and in November. Increasingly, organisations have limited resources and are seeking to partner with others in order to leverage opportunities for mutual gain. Given the GlobalPSC’s role in helping to facilitate the development of effective product stewardship approaches globally, we have actively been engaging stakeholders to bring extra value to our members and their project partners. We are excited to have recently announced a collaboration between the GlobalPSC and the Centre for Sustainable Materials Research and Technology (SMaRT@UNSW) at the University of New South Wales. The GlobalPSC and its members will assist the SMaRT Centre in ensuring that their cutting-edge R&D has direct applicability to product stewardship and recycling. In exchange, the SMaRT Centre will share research findings with the GlobalPSC and its members through special workshops and forums, and provide direct opportunities for input. The GlobalPSC has begun facilitating the involvement of GlobalPSC members in site visits, pilot projects and other means of helping the SMaRT Centre achieve its objectives. Members will be notified directly as research findings are made available. 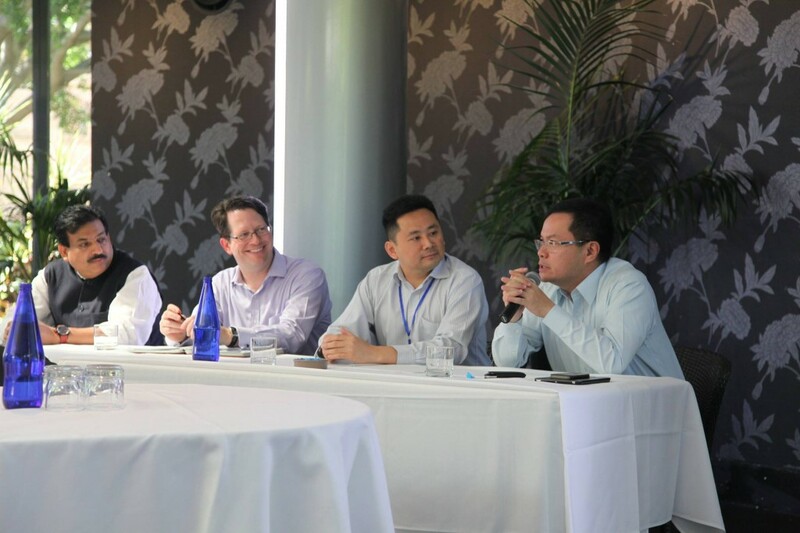 Our CEO Russ Martin was recently invited to participate in the CEO & Business Leaders Summit in Sydney. In addition to discussing some of the potential implications for the SMaRT Centre technology for recycling and product stewardship, especially in developing countries, Russ addressed the costs of ‘patchwork’ regulation in US and Europe, resource needs for growth and higher standards of living in developing countries, generating resources and capturing them through ‘urban mining’ and multinationals’ desires for consistent standards and approaches. Russ also spoke in a panel discussion at the CEO Retreat to discuss resource recovery and product stewardship as part of developing sustainable cities. Again, collaboration was a key theme, and the GlobalPSC’s involvement has been sought for several fascinating projects in Asia. We’ll be sure to keep you posted as these projects unfold. The GlobalPSC recently collaborated with the Product Stewardship Institute (PSI), Australian and US-based parties to host a webinar on battery product stewardship developments in the United States. The US is on the verge of breakthrough legislation for both primary (single-use) and rechargeable batteries. This shift from a voluntary approach to a regulatory approach covering both battery types has coalesced over the past six months, as an increasing number of government agencies have expressed interest in a legislative solution to household battery management. The webinar discussed the unique differences between the single-use and rechargeable battery industries, key issues that are being addressed to find a unified legislation solution, lessons for other countries such as Australia (where consultation is underway on a national battery stewardship scheme), and outstanding challenges faced by US state and local governments, manufacturers, retailers, and other key stakeholders in the year ahead. Feedback from the webinar has been especially positive and we would like to thank all those that made it possible or otherwise participated. Free registration was provided for Australian residents thanks to our sponsors the Australian Battery Recycling Initiative (ABRI), TES-AMM, Queensland Department of Environment and Heritage Protection and Canon, in partnership with the GlobalPSC and PSI. Australians who missed this webinar can download the recording for free by contacting us. Follow-up questions and answers are also available. In accordance with the Rules of the GlobalPSC, nominations for office-holders and other Executive Committee positions are now open. Only paid-up full GlobalPSC members may nominate a candidate, or be nominated as a candidate.